We manufacturers of Shrink Sleeve Applicator Shrink Sleeve Applicator, Shrink Sleeve Applicator From Multipack, Shrink Sleeve Applicator, Multipack Shrink Sleeve Applicator, Bottle Label Applicator, Shrink Label Applicator, Shrink Sleeve Applicator Machines, Shrink Sleeve Applicator India our machineUsed for Neck / Body or any kind of sleeving. Agents Required – Worldwide To Promote Emerging Brand Multipack MachinesinUSA, France, Poland, Bulgaria, Saudi Arabia, Ecuador, Peru, South Africa, Egypt, Indonesia, UAE, Vietnam, Pakistan, Uganda, Philippines, Greece, Columbia, Malaysia, Nigeria, Ethiopia, Lebanon, Kenya, Kuwait, Sri Lanka, Ghana, Nepal, Ukraine, Bangladesh, Australia, Switzerland, Sudan, Russia, Yemen, Iran, Morocco, Malawi, Thailand, Tanzania, Canada, Belarus, USA Cyprus , UAE, Republic Of Congo, Canada, Russia, South Africa, Croatia, Nepal, Oman, Ukraine, China, Bhutan, Ghana, Yugoslavia, Nigeria, Netherlands, Vietnam, Thailand, Kenya, Iran, Malaysia, Bangladesh, Pakistan, UAE, Saudi Arabia, Monrovia, Philippines, Spain, Liberia, Iran, U.S.A, Canada, Germany, Italy, Jordan, Syria, Turkey, Kuwait, Iran, Algeria, Argentina, Bangladesh, Bangkok, Indonesia, Malaysia, Vietnam, Nigeria, Ghana, Malawi, Egypt, Ukraine, Nepal, Srilanka, Bangladesh, Tibet Lusaka, Egypt, England, Uae, Bahrain, Vietnam, Iran, Poland, Tanzania, Malaysia, Nigeria, Sudan, U.K., Italy, Thailand, Span, Kenya, Lebanon, Kingdom Of Saudi Arabia, Sudan, Botswana, Iraq, Thailand, Span, Mauritius, Ethiopia, Congo, Zambia, Namibia, Mozambique, Uganda, Yemen, Somaliya, Oman, Jordan, Turkey, Labia, Morocco, France, Germany, Ukraine, Turkey, Greece, Kazakhstan, Russia, Uzbekistan, Malaysia, Thailand, Singapore, Philippines, Indonesia, Australia, New Zealand, Kerala, Trichy, Banglore, Chennai, Delhi, Jammu, Kolkata, Bhubneshwar, Baddi, Himachal Pradesh, Rajasthan, Pune, Nashik, Dhule, Solan, Kanpur, Coimbatore, Satna, Nagpur, Thane, Wada, Jaipur, Udaipur, Ahemdabad, Ludhiana, Hyderabad, Tamilnadu, Kolkata. according to differ volume label 5″~10″paper tube. 2. Simply installation, then can convenient for square and round bottle. 3. No need of instrument, rotary mechanism is convenient to adjust, apply to differ bottle type. not only convenient but also reasonable. 5. 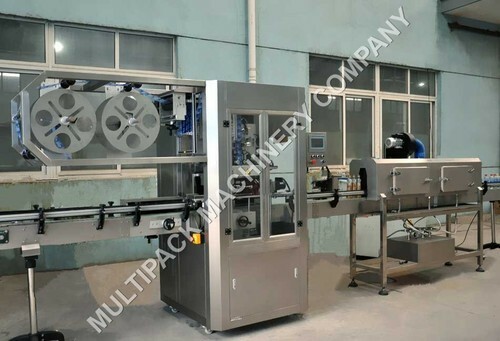 Auto controlling feeding system, level-off shrinkage film materials and regulate/adjust strain simultaneity. knife changing is quick and conveniently. 7. Middle guide-pole clip system,mould changing is more quick, no need any instrument. 8. Label location system, can promote and demote in-phase adjust location according to specific bottle type requirement. 9. Adopt to Japanese import servo system and high-sensitivity photoelectric, label cutting precision is highly. Shrink-Sleeve Label Applicator high speed uses newest shrink technology with MMI and PLC base control panel. The bary centre and base have been accurately design, even use this machine with high speed for long time machine running still very stable and smoothly. Bottles are Automatically fed (or inline with other units) on the running conveyor of the applicator. Roll type sleeve should be loaded on the unwind station. Web is unwound from the unwind unit through a unwind nip arrangement. Unwind nip pulls film & get collected in the box from where it is pulled by main feeding roller on mandrel. Film is then cut by rotary cutter & remains on mandrel till bottle comes below it & dropped on it. Bottles are fed to the machine taking care for proper pitching. Bottles with the sleeve applied over the neck come out from the other side. There can be some minor changes & modification in the Technical Specification for the best improvement of the machine, while designing as per your requirement. 3 Phase electric supply, connected load: 6.5 KW, 415  5 V AC, 50Hz Earth & Neutral. Frame structure will be of S.S cladded and internal parts will be of M.S. Electrolysis Nickel plated. 0.5HP “Bontiglioli/Hindustan” makes geared motor for conveyor. “90 Watt Panasonic” makes geared motor for feed screw along with VFD. Variable frequency drive used will be of “Delta” make. 0.5 HP Drive - 1Nos. 0.25 HP geared motor for unwind unit. Dancing unit will be provided for control the web tension. PLC used will be of “Delta” Make. Can handle Glass & Polymer bottles. No Bottle – Total halt. Rigid Structure with Good Speed. Machine will have manual up & down arrangement. Approximately 1mtr from all sides of the machine. Hence, clearance of 1mtr should be added to the actual size of the machine. 1 Skilled operator & 1 Semi Skilled. Bottles should be of good quality & dried. Sleeve should be of proper specification in Roll form. Operator should understand the working of the machine properly. 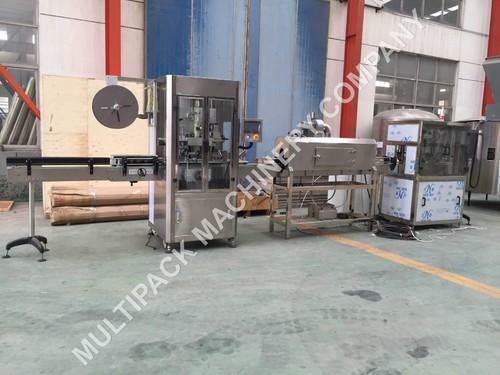 Shrink-Sleeve Label Applicator high speed incorporates latest shrink technology controlled through HMI (Human Machine Interface) unit and PLC (Programmable Logic Control) Unit. 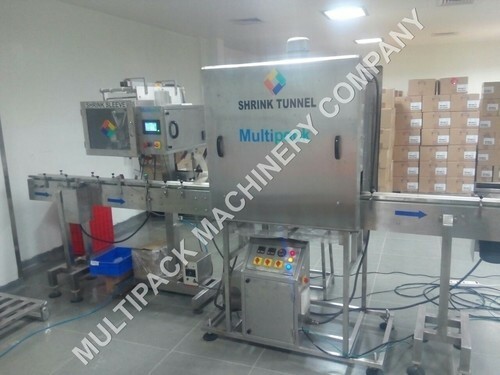 The complete unit is designed in house by company’s team of Design Engineer using advanced software and their core experience in Packaging Machinery. The bary centre and base of the machine have been designed to run this machine at high speed for long duration under stable and smooth operating condition. Automatic Bottle Feeding (or in line with other units) on the running conveyor of the applicator. Roll type sleeve loaded on the unwind station is built to hold heavy Sleeve Rolls. Sleeve is then cut by rotary cutter assembly according to the Length predefined as per container height just below the mandrel & remains on mandrel till bottle arrives on the conveyor. Bottles are fed to the machine taking care for proper pitching and required feed worm assembly. An electronic sensor senses the presence of bottle under the mandrel and the precut sleeve is dropped over the container in position. This sensor enables the “No Bottle No Sleeve” feature of the machine. Bottles with the sleeve applied to the bottle in position exits the unit through the conveyor. 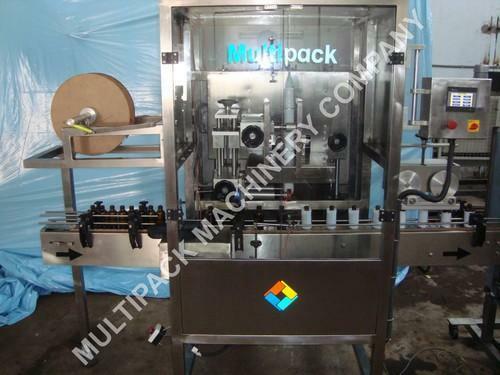 We are a trusted name among the manufacturers of Shrink Sleeve Applicator for our highly valued clients. It is used for packaging in Aqua, Pharma, Food & Process Industries. It is fabricated using high quality raw material and machinery at our unit under hygienic conditions. 3 Phase electric supply, connected load: 6.5 KW, 415 ¿¿¿ 5 V AC, 50Hz Earth & Neutral. 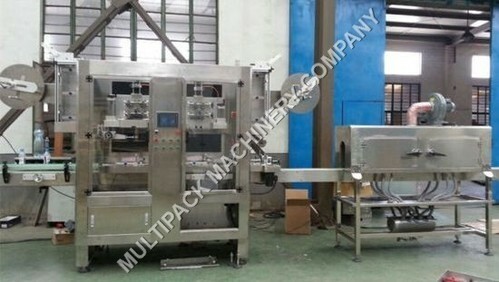 Looking for “Bottle Sleeve Shrink Machine And Shrink Wrap Machine”?